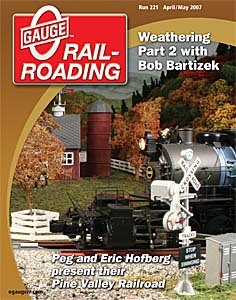 Download Jim Barrett’s Backshop Article about “The Brakeman’s Riveter” from Carl’s Toy Trains. This Backshop article appeared in the April/May 2007 issue, Run 221. This is a great tool that will be a valuable addition to your workbench.